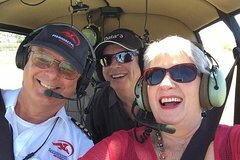 Whether it be flying high in the clear blue skies above Brisbane in a scenic glider flight, or swooping down low over the amazing scenery, go for the flight of your life in Brisbane and never look back! 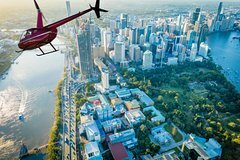 Book a Brisbane Flying Adventure to give you a wonderful bird’s eye view of Brisbane and South East Queensland. Float over the countryside in the crisp early morning air in a hot air balloon, glide silently over beautiful Moreton Bay’s sparkling waters or play WWII fighter ace in a historic Warbird plane. There's something for everyone from dare devil flights to romantic balloon rides. Whichever flying adventure you choose, you'll be flying high for days afterwards! 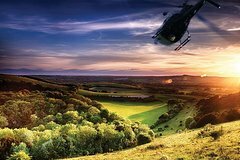 This scenic helicopter flight heads East from Brisbane out over the waters of Moreton Bay with breathtaking views of the coastline below. Travel at an altitude of 500 feet and see the white sandy beaches and pristine sapphire waters from above as your pilot takes you to land down on a private section of beach. 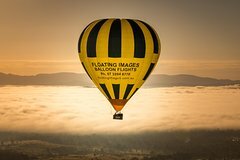 See Brisbane from the best possible angle with a hot air ballooning experience that takes off just 30 minutes west of the CBD. 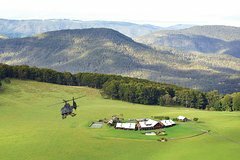 Get the best of both worlds with a 60 minute flight that encompasses a mixture of city and country scenery as you soak up the views ranging from Ipswich all the way out to the Great Dividing Range. Skydive Bribie Island – skydive over the blue waters of Moreton Bay before landing on one of Bribie Island’s white sand beaches. 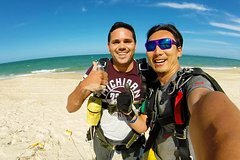 Tandem skydiving is one of the best things to do in Bribie Island – you’ll see stunning beaches and ocean views as you free fall from up to 15,000ft.